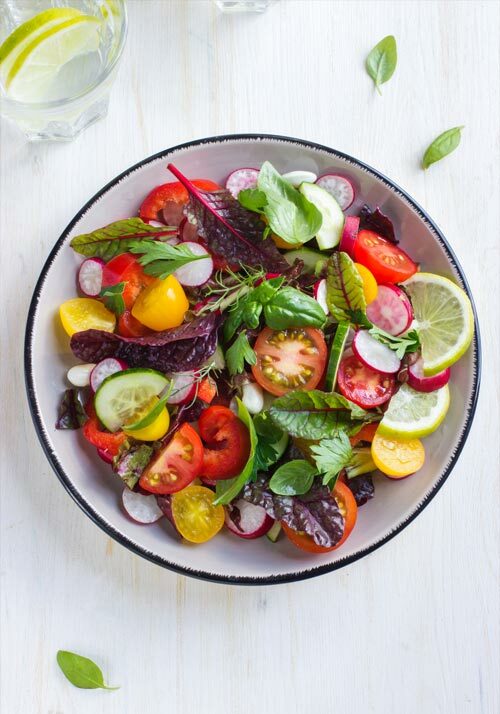 "Savor the colors, the flavors and the tapestry of delicious recipes created to reclaim your vitality and energy." 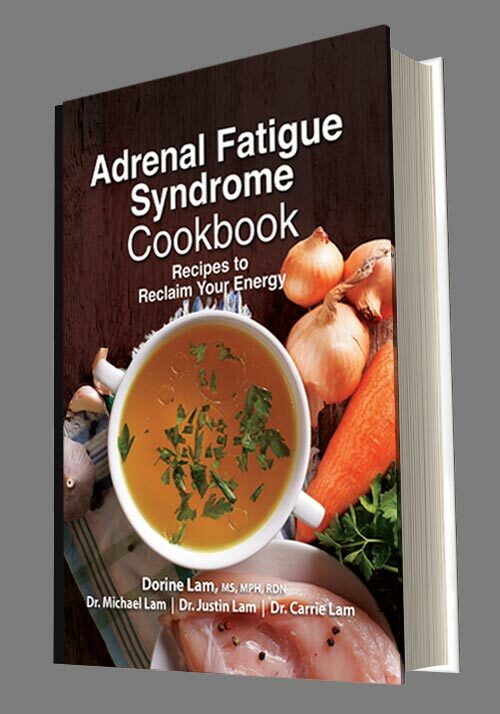 In Adrenal Fatigue Syndrome Cookbook registered dietitian and chef Dorine Lam, Drs. 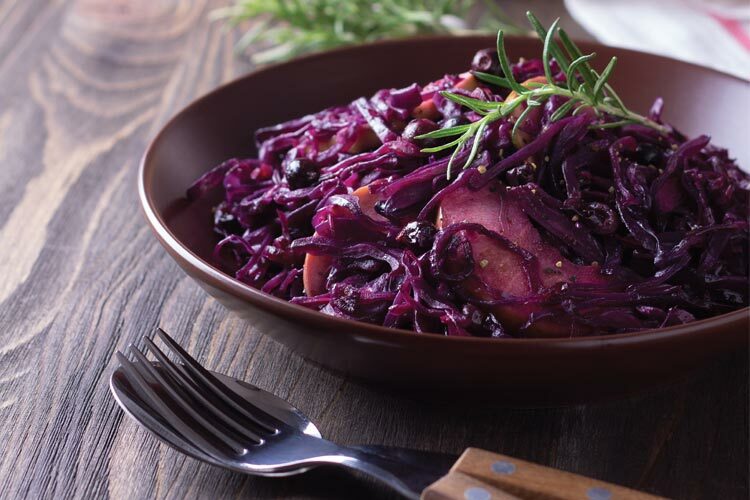 Michael, Justin, and Carrie Lam have provided advice and recommendations on recipes specifically designed for various stages of Adrenal Fatigue Syndrome. 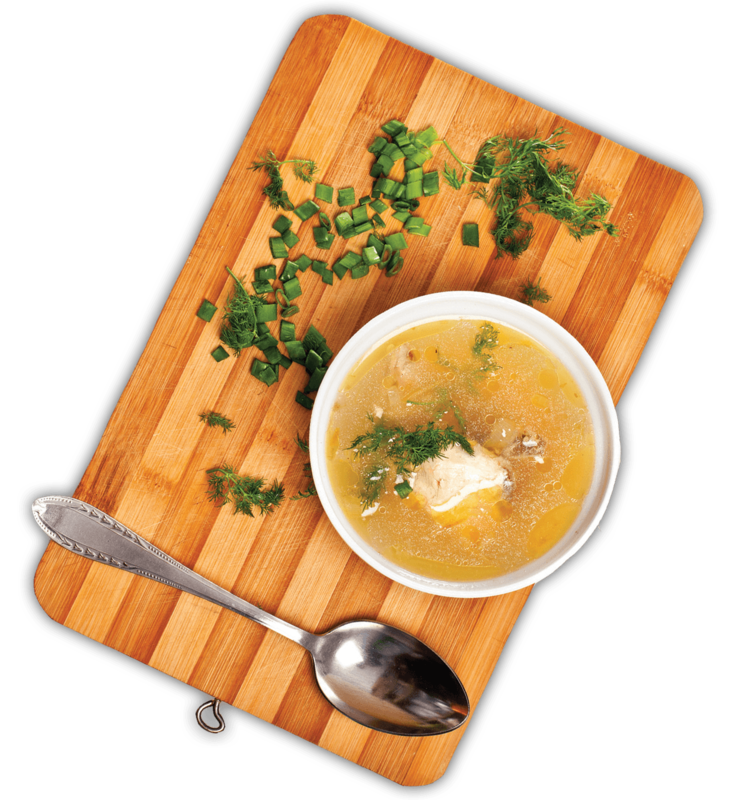 All recipes are identified by easy, medium, and challenging preparation levels, yet with easy-to-follow instructions. As a team of nutritional professionals helping people recover from AFS, many of whom are bedridden and in a catabolic state with severe fatigue, we have observed the wonderful, direct effects of nutrition, if done right, on a sensitive and weak body. 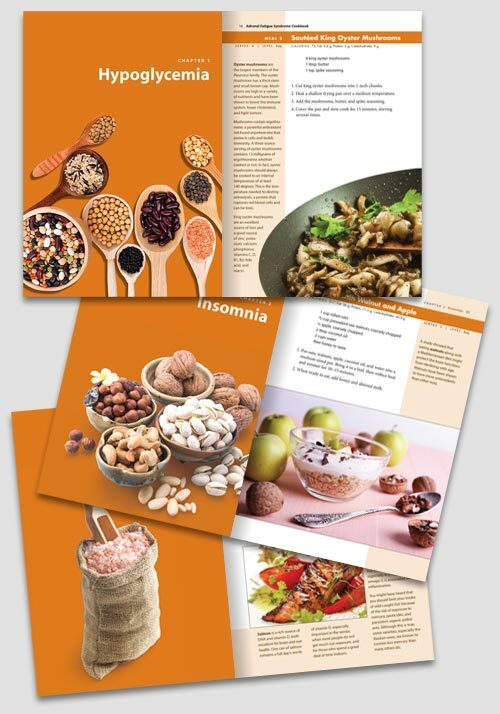 This book encompasses our years of experience in developing recipes and dietary principles specifically for AFS recovery. The nourishment concepts and strategies of this book incorporate wholesome food principles from ancient times, when food was cherished as a healing tool. These principles work then and now because the human body has not changed. 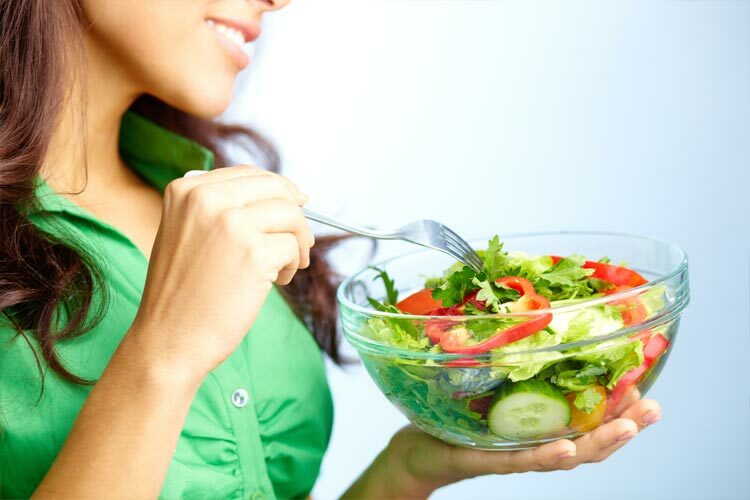 We therefore emphasize the importance of eating whole foods, especially vegetables and easily digestible proteins. 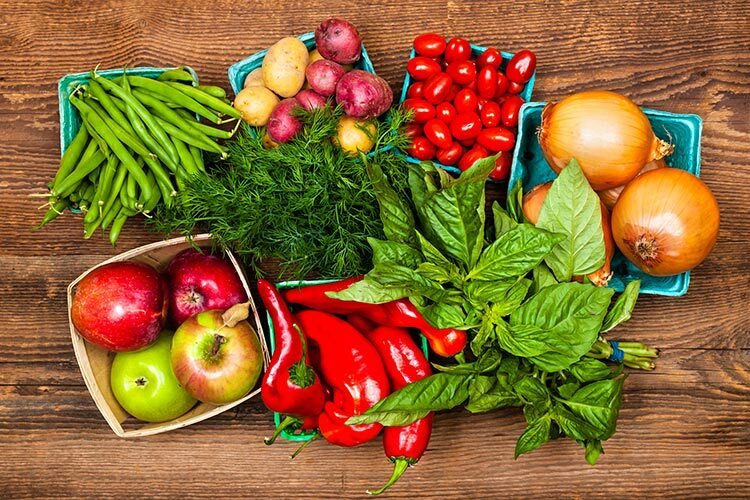 The more you know about the science behind nutrition, the better you are able to self-navigate. 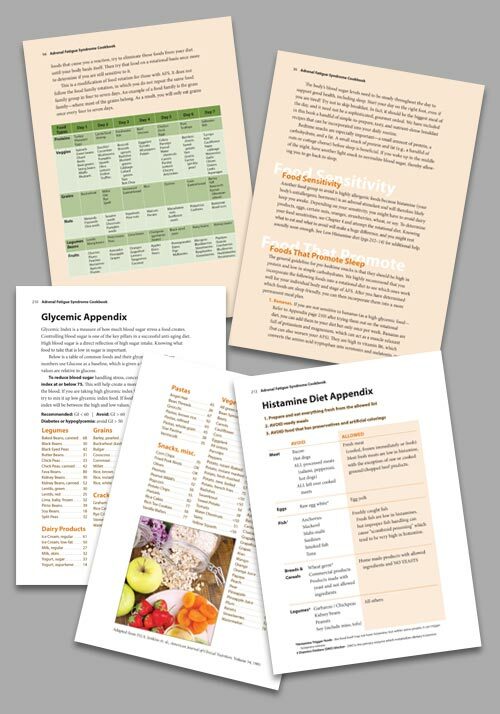 In addition to recipes, we detail the science of macronutrients and explain the reasons behind different preparations of food and their clinical results on the neuroendocrine system to help you in your recovery process. 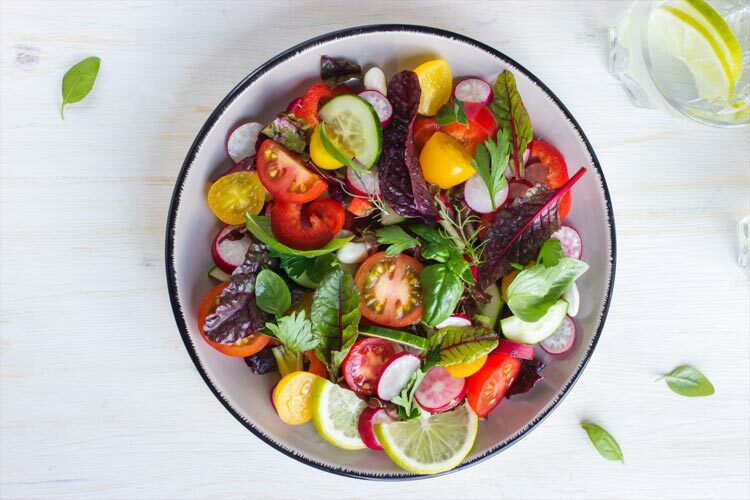 The body possesses an amazing capacity to rebound if we only give it the tools to nurture it systematically with these recipes. 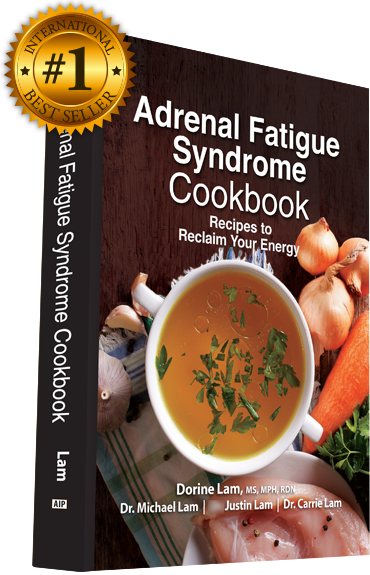 The Adrenal Fatigue Syndrome Cookbook is divided into 8 chapters, each detailing a common symptom seen in adrenal fatigue. 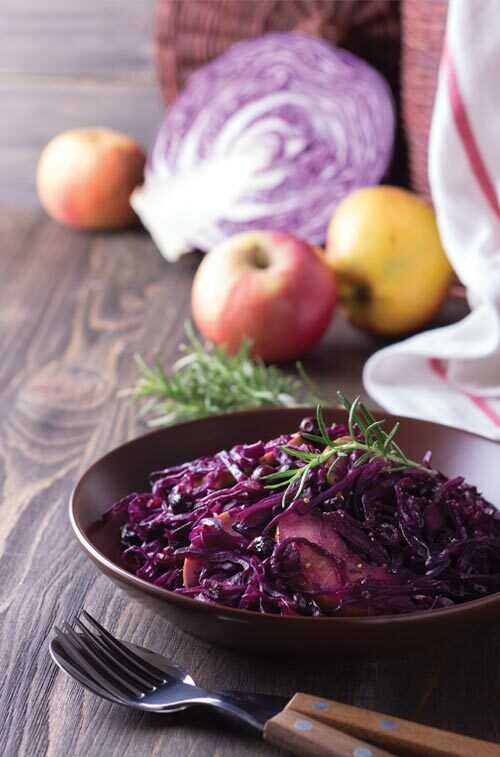 Utilizing these specific recipes, you will not only strengthen your adrenals but also help alleviate your symptoms at the same time. Mix well all the ingredients in a large ovenproof dish with a lid. Bake 1–1½ hours, stirring every 30 minutes. When done, the cabbage is soft but not slushy. 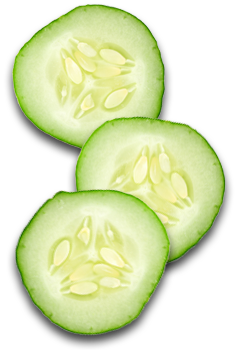 Serve hot or store in the refrigerator and serve cold or reheated. 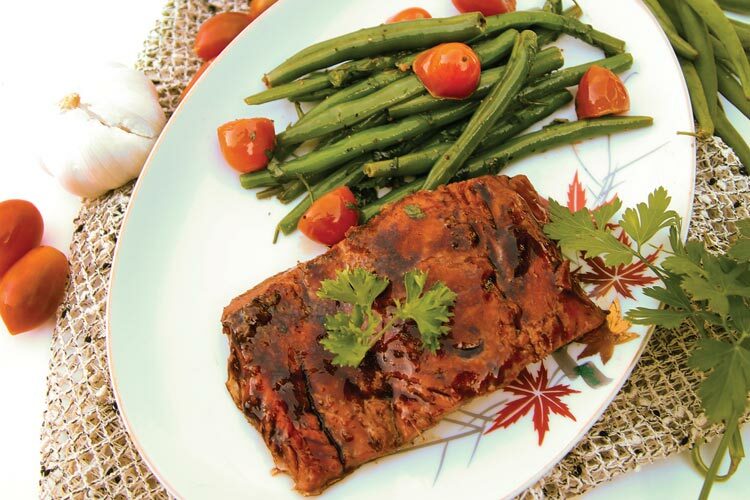 Season both sides of the salmon steak with salt and pepper for 30–60 minutes. In a small bowl, whisk together the orange juice, ketchup, vegetarian oyster sauce, ginger, and honey. Preheat the oven broiler. Lay the salmon on a baking sheet lined with aluminum foil. Baste the salmon with the sauce. Broil the salmon about 4 inches from the heat source for 2 minutes. Turning the salmon over, baste with the sauce again, and broil for 2 minutes. Basting once more, broil for another 2 minutes. 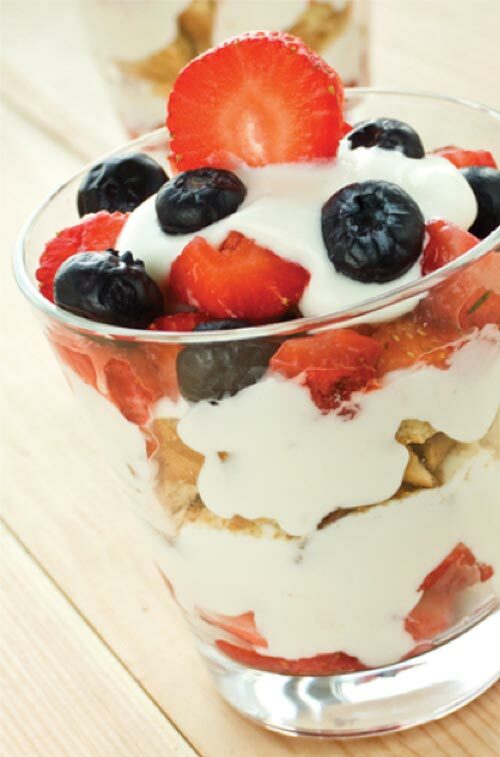 In each of 4 parfait glasses, alternate layers of yogurt, granola, strawberries, and blueberries. You can use raspberries or apples as well. 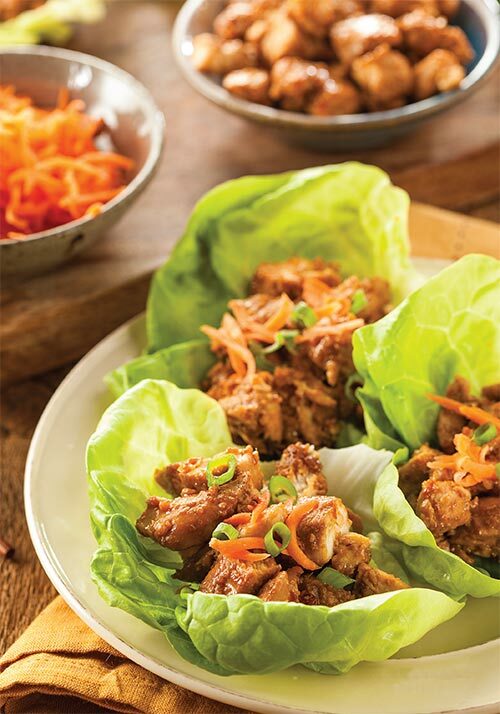 Eat as a late afternoon snack or for dessert. 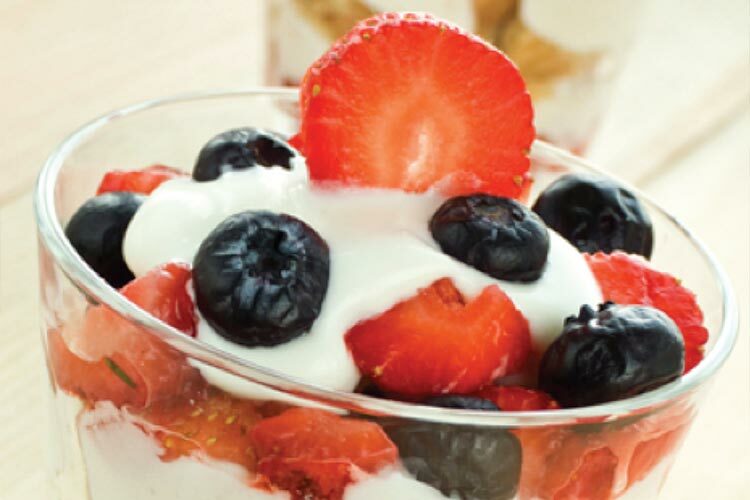 You can also use plain whole-milk yogurt and add your own sweetener or flavor. 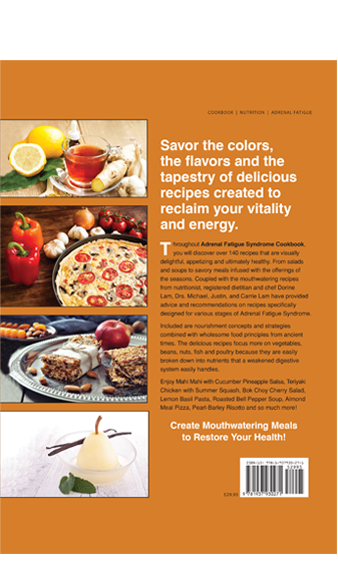 Create Mouthwatering Meals to Restore Your Health! is a registered dietitian and holistic nutritional coach specializing in Adrenal Fatigue Syndrome and natural hormonal balancing. 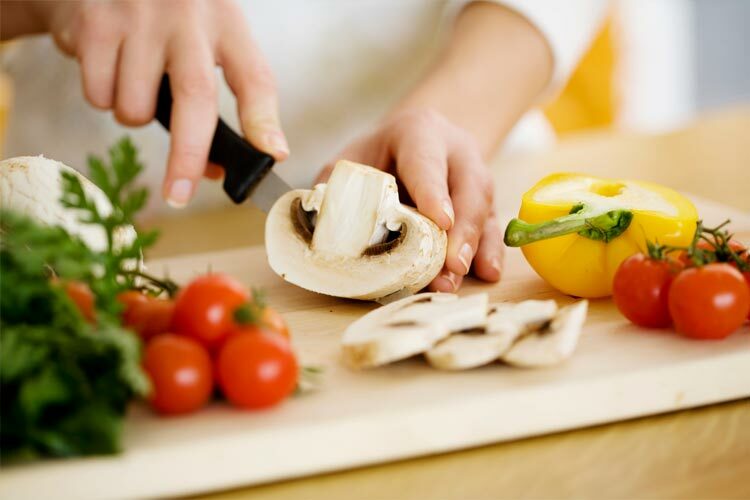 She received her Bachelor of Science degree in Dietetics, holds a Master's Degree in Public Health in Nutrition, and a Master of Science degree in Nutrition from Loma Linda University, in Loma Linda, California. She is also a board-certified, Anti-Aging Health Practitioner by the American Academy of Anti-Aging Medicine. She is the author of the international best-selling book Adrenal Fatigue Syndrome Cookbook and coauthored with Michael Lam, M.D., the books Adrenal Fatigue Syndrome - Reclaim Your Energy and Vitality with Clinically Proven Natural Programs and Estrogen Dominance. Her personal research and writing focuses on the metabolic aspect of Adrenal Fatigue Syndrome. She is married to Michael Lam and is an integral part of the telephone-based nutritional coaching team helping people overcome Adrenal Fatigue Syndrome. 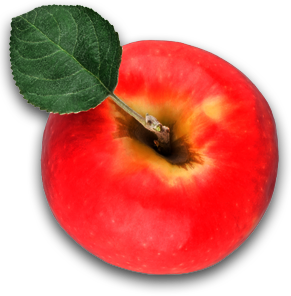 is a western trained physician specializing in nutritional and anti-aging medicine. 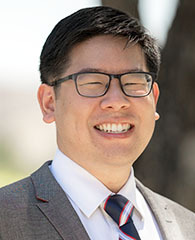 Dr. Lam received his Bachelor of Science degree from Oregon State University, and his Doctor of Medicine degree from the Loma Linda University School of Medicine in California. He also holds a Master's degree in Public Health. He is board certified by the American Board of Anti-Aging Medicine where he has also served as a board examiner. Dr. Lam is a pioneer in using nontoxic, natural compounds to promote the healing of many age-related degenerative conditions. 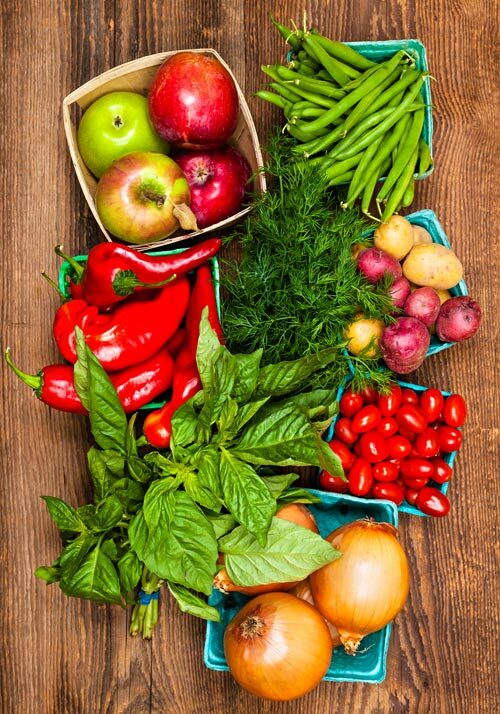 He utilizes optimum blends of nutritional supplementation that manipulate food, vitamins, natural hormones, herbs, enzymes, and minerals into specific protocols to rejuvenate cellular function. 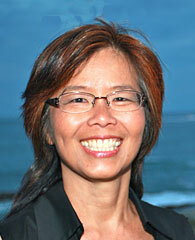 Dr. Lam was first to coin the term, ovarian-adrenal-thyroid (OAT) hormone axis, and to describe its imbalances. He was first to scientifically tie in Adrenal Fatigue Syndrome (AFS) as part of the overall neuroendocrine stress response continuum of the body. He systematized the clinical significance and coined the various phases of Adrenal Exhaustion. He is an international best-selling author and has written seven books: Adrenal Fatigue Syndrome - Reclaim Your Energy and Vitality with Clinically Proven Natural Programs, Advanced Symptoms of Adrenal Fatigue, Adrenal Fatigue Syndrome Cookbook, Estrogen Dominance, Beating Cancer with Natural Medicine (Free PDF version), The Five Proven Secrets to Longevity, and How to Stay Young and Live Longer. 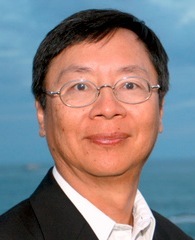 In 2001, Dr. Lam established www.DrLam.com as a free, educational website on evidence-based alternative medicine for the public and for health professionals. It featured the world's most comprehensive library on AFS. Provided free as a public service, he has answered countless questions through the website on alternative health and AFS. He serves as senior health and nutritional coach at DrLam.com, where his personal, telephone-based coaching services have enabled many around the world to regain control of their health using natural therapies. is a metabolic nutritionist and health coach specializing in Adrenal Fatigue. He earned his Bachelor of Science degree in Biology from Pacific Union College, California and his Doctor of Medicine degree from Ross University School of Medicine, a fully U.S. accredited medical school in Dominica. He is a diplomate in Anti-aging Medicine and board certified by the American Board of Anti-Aging Health Practitioners. He has completed a fellowship in Metabolic and Nutritional Medicine from the American Academy of Anti-Aging Medicine in educational partnership with George Washington University. He is a lifestyle health coach certified by the Metabolic Medical Institute. 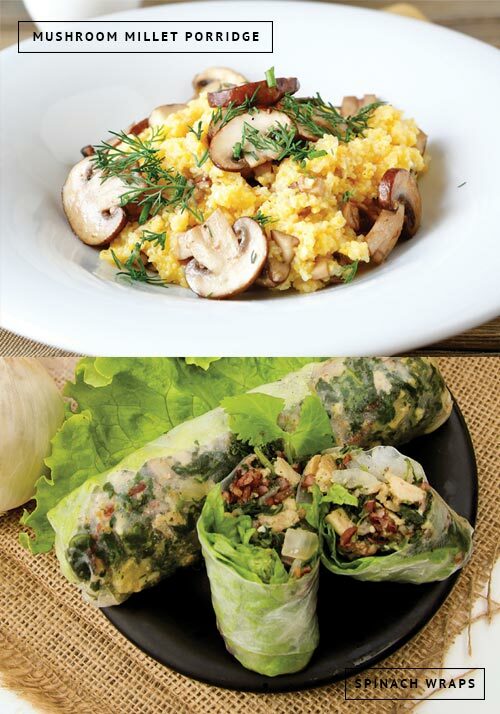 Coach Justin is a graduate of the Institute for Integrative Nutrition. He is an international best-selling author of the books Advanced Symptoms of Adrenal Fatigue: A Metabolic Approach and Adrenal Fatigue Syndrome Cookbook. He is also the coauthor of Central Nervous Disruptions and Adrenal Fatigue Syndrome. He is the son of Michael Lam, MD, recognized pioneer in adrenal fatigue. 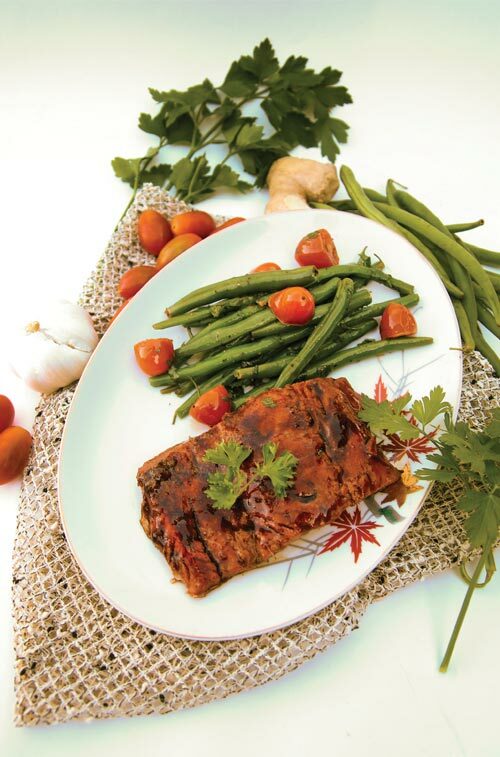 He is also an integral part of Dr. Lam's worldwide telephone-based nutritional coaching team. His research focuses on the neuroendometabolic ramifications of exertion intolerance. graduated with a Bachelor of Science in Fine Arts from Pacific Union College, California, and earned her Doctor of Medicine degree from Loma Linda University, California. 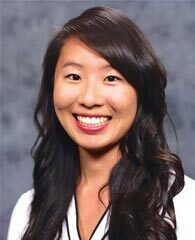 Her career focus is in primary care along with functional and integrative medicine, with emphasis on anti-aging, lifestyle medicine, and nutrition. 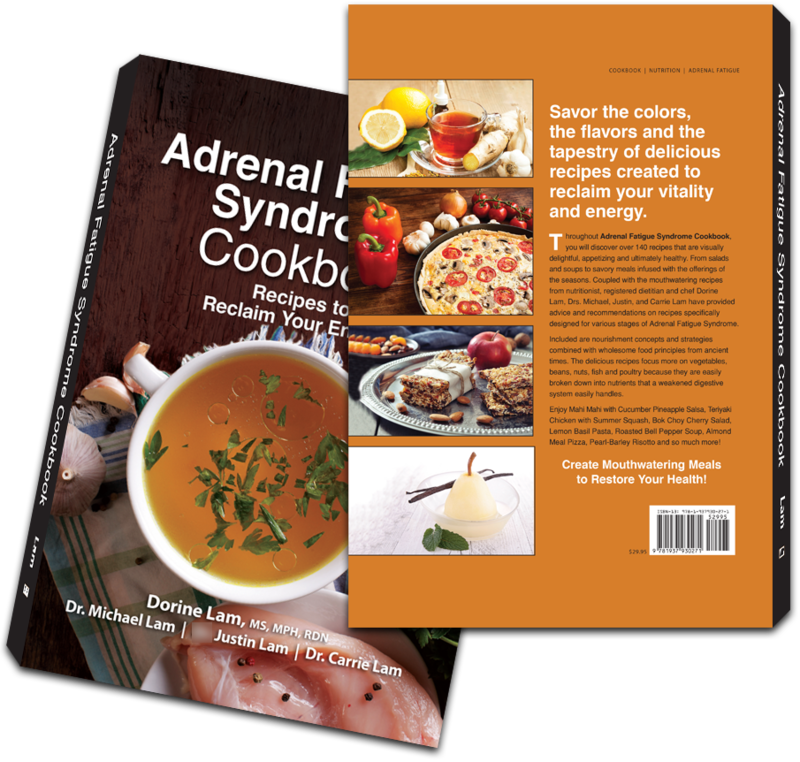 She won a Medical Scholarship Award for Preventive Medicine and is an author of the international best selling books Advanced Symptoms of Adrenal Fatigue Syndrome: A Metabolic Approach and Adrenal Fatigue Syndrome Cookbook. She is a part of Lam Clinic, a team of physicians and health professionals who have well over half a century of combined clinical experience in the power of natural healing. She is an avid believer of whole-person care, in which the body, mind, and spirit are important components to healing; and is passionate about empowering people to regain control of their own lives in a healthy and individual way.